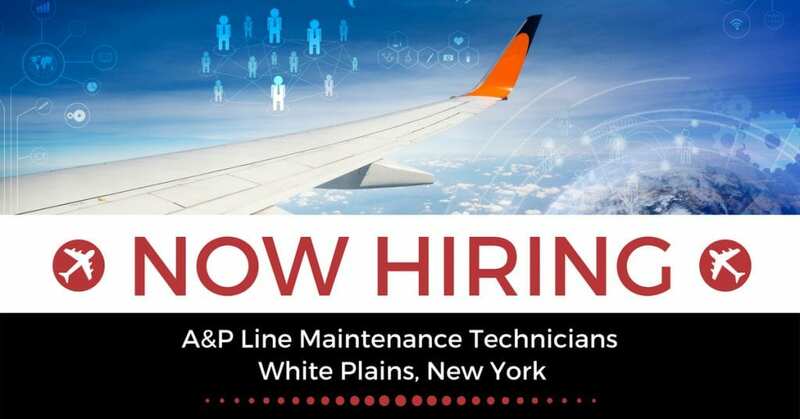 STS Line Maintenance is now offering A&P Line Maintenance Technician jobs in White Plains, New York. STS Line Maintenance proudly offers all qualifying candidates competitive rates, direct deposits, medical insurance, cash advances and referral bonuses. Have questions? Contact us today at 1-800-359-4787.